Foreign Currency and Bond Futures Analyst, A.G. Edwards & Sons, Inc. It all began when Nicole L. Miller was an undergraduate student at SIUE majoring in Economics and Finance. She commuted an hour and a half each way to school every day and managed to earn academic honors. When Dr. Donald Elliott suggested she submit her resume for a summer internship position at A .G. Edwards, she listened. More than five years later, Miller humbly acknowledges the role that Elliott and SIUE had in her career at A.G. Edwards. While these may have been factors encouraging her application as an intern, her own hard work and knowledge have advanced her to where she is today. Miller was promoted to Foreign Currency and Bond Futures Analyst for A.G. Edwards & Sons, Inc. in May 2005. "Since I am the only analyst covering these markets," she explains, "things can be very hectic." Her responsibilities include publishing daily comments on the markets, discussing the markets with brokers, clients, and the media, writing bi-weekly reports on the markets, and giving presentations to branch offices. Before her current position, she was an associate quantitative analyst. She accepted that position when her internship at A.G. Edwards ended in 2000. During her time at SIUE, Miller remembers several classes that challenged her. Dr. Hafer's economics class was most memorable, because she was interested in monetary policy and the Federal Reserve. She states, "Not only did my classes give me a solid foundation of knowledge to build on, but they helped me to think analytically as well." After she earned a bachelor's degree in 1999, she went on to complete her master's degree in Economics and Finance in 2001. For the past two years she has taught as an adjunct instructor in corporate finance for the department. "I really enjoy discussing financial concepts and sharing my experiences in the corporate world with students." In fact, this experience has even led her to change her career objectives. She has enjoyed her experiences teaching so much that she plans to pursue a Ph.D. in finance to have the opportunity to teach full-time. Miller's career at A.G. Edwards began in part by an encouraging faculty's belief in her abilities. Her success is a result of a combination of hard work and educational background. 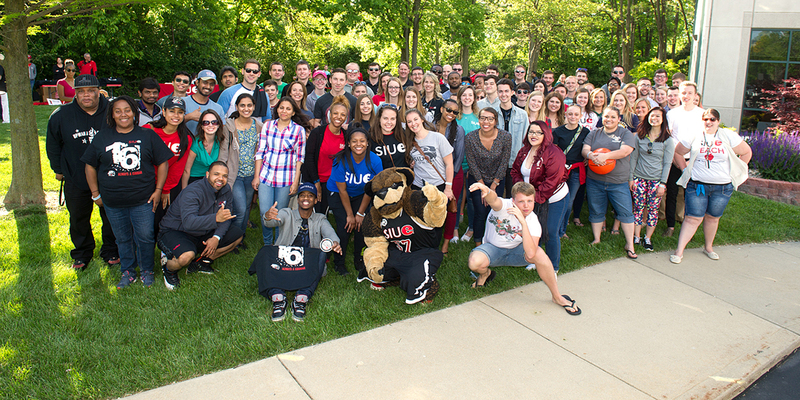 She says, "SIUE is a wonderful place to obtain a bachelor's and master's degree, and I hope it continues to grow."